Allow us to introduce seven popular restaurants from Taiwan’s impressive food scene that use ingredients from Japan to deliver culinary masterpieces. 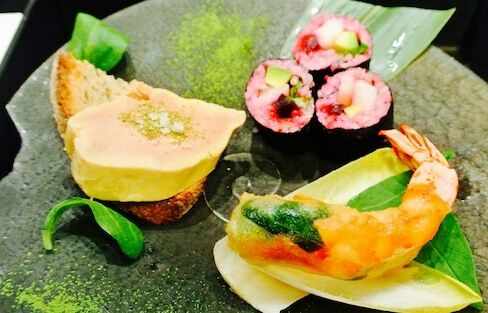 While France is certainly home to amazing cuisine, these five highly recommended Paris restaurants and venues are in a class of their own, featuring fresh and tasty ingredients from Japan for an authentic Japanese culinary experience. Anthony Bourdain, who has tried eating silkworms for a meal, has refused to eat 'natto'. But with a little familiarity, and a lot of convincing that this superfood is oh-so-healthy, you'd forget that this fermented soybean is downright stinky. From authentic tempura, sushi and 'yakiniku' to fantastic French cuisine, we're bringing you nine Los Angeles restaurants that use ingredients from Japan to offer a rich variety of flavors. We introduce 8 great Beijing and Shanghai restaurants offering authentic Japanese sushi made with fresh seafood imported from all over Japan. 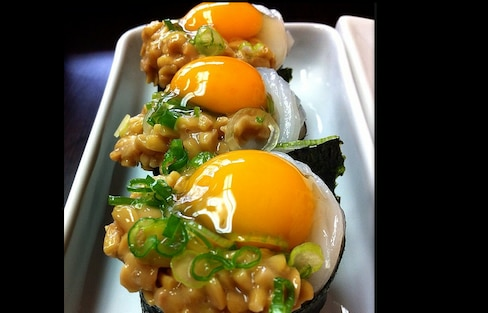 Allow us to introduce 13 carefully selected restaurants, cafés and shops in Portland that use Japanese ingredients to deliver true Japanese flavor. From meats and fish to vegetables and fruits, here are our top picks for supermarkets in Bangkok offering fresh seasonal ingredients from Japan. Michelin-starred Chef David Bouley demonstrates original dishes created with Japanese ingredients: Health-themed Presentation on Diversity of Japanese Food Products. If you're heading to Hong Kong, you've got to check out these 10 highly recommended restaurants in Hong Kong’s unrivaled international food scene that feature ingredients from Japan. Master the art of selecting the best rice for every occasion! Read on to find 13 carefully selected Beijing and Shanghai restaurants offering authentic Japanese cuisine made with seasonal ingredients imported from all over Japan. Professor Ryoji Hamamoto of the Tsuji Culinary Institute outlines the history and health benefits of Japanese food at a special event in New York. From confectioneries to fruit markets, bakeries, cafés and more, we're going to introduce seven great spots in Taiwan to buy foods from all over Japan. Come along as we introduce a selection of great restaurants from Bangkok’s large Japanese dining scene that use fresh ingredients from Japan to deliver authentic Japanese flavor. Ready to become an expert on the white, fluffy deliciousness that is tofu? Trying to find a ramen bowl that’s in-budget, but still mouth-wateringly delicious can be frustrating. As the cities along the Tohoku Pacific Coast are debating the best ways to move forward with rebuilding and prevention, one thing is for sure: reconstruction has seen the seafood industry rebound, allowing lots of unique local flavors to make a comeback. Check out these six great bars, 'izakaya' restaurants, sake shops and other venues that specialize in sake, whiskey and more from all over Japan, bringing the deep culture of Japanese spirits to Taiwan. With a wide selection of dishes that please both the eye and palate, these eight popular and multinational restaurants in Bangkok feature delicious cuisine prepared using Japanese ingredients.